Keep the seat post well greased to reduce the chance of a creaky bike. Recently I had a creaking in my bike while pedaling hard, one of the most frustrating bike maintenance headaches on a long list of nuisances that come with the sport. I had been through this many times before and on most occasions it originated in the seat post. This is where metal rubs against metal in ways that we can only imagine. All it takes is a tiny bit of rust or lack of grease for this area to start creaking. This was the second time I had creaking in only a few weeks. I removed the extra-long economy seat post (400 mm) and immediately saw the problem. Rust had set in at the bottom of the post. I should have cut the post when I bought it but I got lazy. I sliced off 100 mm and now it will be much less likely to creak. Handlebars. Quill stems are more likely than a-head stems to creak once the grease dries up. You can usually identify a creaky handlebar by riding out of the saddle and pulling hard on the bars. Stem. Quill stems are another common source of creaking. 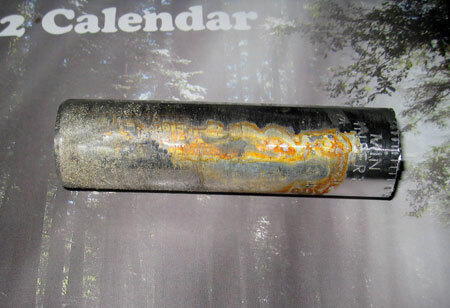 Grease can dry up in the head tube and that quickly leads to creaking. Less common creaking locations are in the bottom bracket, pedals, and chainwheels. Check all bolts to be sure they’re at the proper tightness. If you hear the sound of birds chirping, that’s the chain saying “oil me.” Amazingly, I hear chirping chains all the time, and more often than not the riders are engineers. Go figure. This entry was posted on February 13, 2012 at 9:05 pm and is filed under Repair. You can follow any responses to this entry through the RSS 2.0 feed. You can leave a response, or trackback from your own site. Another source of creaking: seat rails. The LBS used assembly grease to quiet the annoying creaking. Agree with GF, seat rails can cause creaking. You sometimes have to WD40 the point on the rail where it enters the plastic shell of the saddle. Another creaking location are the quick releases on Mavic factory built wheels – two friends of mine went nuts finding that one.